I began reading The Princess Diaries series when I was in college. I thought they were fun and cute, but occasionally too juvenile for my tastes. Which made sense considering that I was a lot older than Mia. I didn't get all the way through the series. I think the last book I read was where she and Michael broke up. I was so upset about it that it was one of the reasons I stopped reading the series. Lucky me, turns out they got back together and now they're getting married! I really like the girl that Mia grew up into. She's kept her down-to-earth nature and her forthrightness. Her silly zaniness has matured into a lovable neurotic nature. She reminds me somewhat of a Seinfeld character. The adult Mia feels more comfortable in her skin and in her role as a Princess. I love Michael. He is such a rock. He is very much as he always was. Steady, forthright, brilliant, plus a bit of fun. All the old Princess Diaries cast is in tow. Lily and Tina, Grand-mere and Mom, Lars, Boris and even Lana (apparently they became friends as the series went on). Setting aside the somewhat unrealistic nature that Mia's only friends are those from high school, I was very happy to see that the old crew is still together. Essentially this book is more of the same from The Princess Diaries series. Mia is worried about horrible things happen, horrible things Mia doesn't expect to happen does in fact happen, Mia makes it worse by overreacting, and eventually things sort themselves out and everyone ends up happy. But I liked the adult tinge on it. Also, the book feels very current with pop culture references and feels like the life of a normal 26 year old, even if Mia is in fact a Princess, famous, and super rich. Another thing that was fun for me was the New York setting. Back when I read the series, New York City was as foreign to me as Genovia. Now I've visited so many times that I feel like I know all of Manhattan (although that is certainly not true). In fact, I got the book in New York at BEA. If you're a fan of New York, you'll love all the references to the city. It was an opportunity for armchair travel, even if Mia is holed up at the embassy for much of the book. Royal Wedding is a delightful coda to the Princess Diaries series. With the addition of Mia's new half sister (really not a spoiler since there's already a book about her published), the series is sure to continue. I'm excited to read more. *My only quibble about the book was a big twist toward the end. It probably won't both most people, but it was particularly bad timing for me. Talk about pouring a crapton of salt on a gaping, bleeding wound. 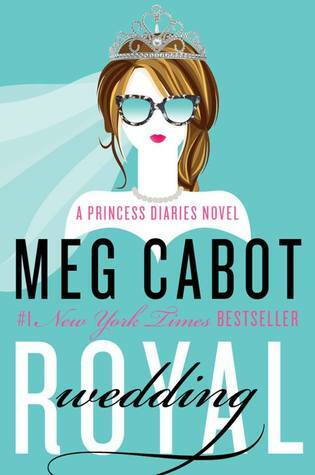 Recommendation: Buy if you loved the Princess Diaries series!